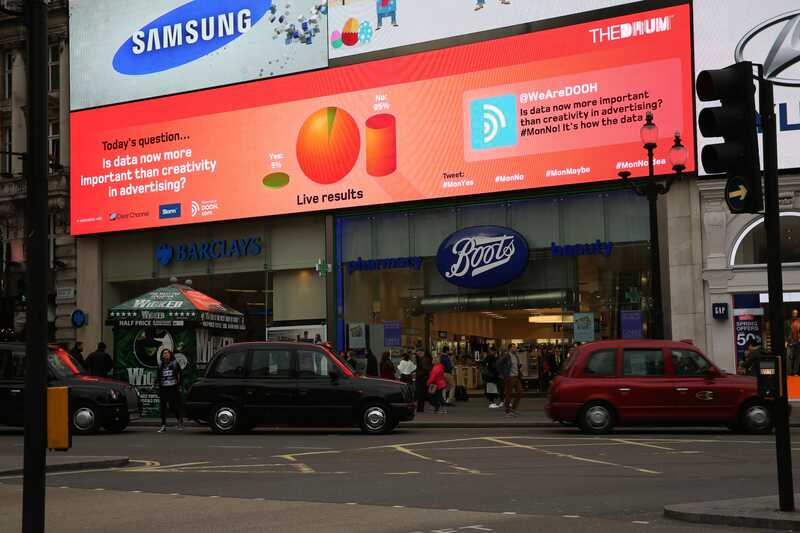 Working with The Drum, Storm and Clear Channel we dominated the iconic Piccadilly One screen throughout Ad Week. The Drum ran a poll via social media with the results shown live on screen accompanied by tweets. We also showed off our new product ‘Hero™’. Hero allows you to complete the social media loop. A high resolution image of each tweet was taken and tweeted back to the originator so they could see themselves on screen. Hero alone resulted in impressions of over 90,000 for The Drum.